This commentary is based on the classroom activity: Why did Queen Elizabeth not get married? Q1: Why was it very important to Parliament that Elizabeth got married and had children? A1: Parliament wanted Elizabeth to get married and have children so that there would be a Protestant heir to the throne. A2: The Duke of Feria claims that Elizabeth could not have children, whereas William Cecil claimed that she could. William Cecil provides evidence for his judgement. This is impressive evidence as it was supplied by Elizabeth's doctors. Count Feria's judgement is based on rumours that he heard while he was living in London. Therefore, source E is more likely to be inaccurate than source F.
Q3: Give as many reasons as you can why Elizabeth did not get married. A3: Possible reasons why Elizabeth did not get married include: (i) Elizabeth was unwilling to share power with a man (sources C and D); (ii) Elizabeth knew she could not have children (source E); (iii) an English husband would cause some powerful nobles to become jealous and rebellious (source G); (iv) a foreign husband might try and make decisions that were against the interests of England (source G); (v) Elizabeth was afraid that once people knew who the heir would be they would prefer that person to her (source H). Q4: Study the list of reasons that you included in your previous answer. Do you think these reasons were of equal importance to Elizabeth? Explain your answer in as much detail as possible. A4: It is impossible to know for sure why Elizabeth refused to get married and have children. Even when she told people the reason why (source H) it is not certain that she was telling the truth. It is also worth remembering that it is possible that at different stages of her life, Elizabeth had different reasons why she did not want to get married. Most people who knew Elizabeth believe the most important reason why she did not marry was that she was afraid that her husband would replace her as the person in control of the country. As Sir James Melville argued in source D, Elizabeth was "too proud to suffer a commander." Elizabeth was also aware that whoever she chose as a husband, it was bound to cause conflict. This in turn could have resulted in rebellion. The English people were hostile to the idea of a foreign king, especially if he was a Catholic. 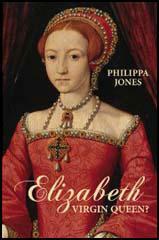 If Elizabeth married an English noble she faced the possibility of a civil war. If Elizabeth could not have children this would have been a very important reason why she did not get married. However, the evidence that we have suggests that she could have children. Therefore this was probably the least important of the reasons why she did not get married.